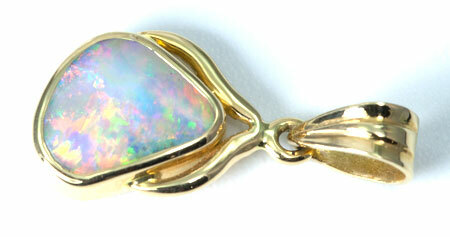 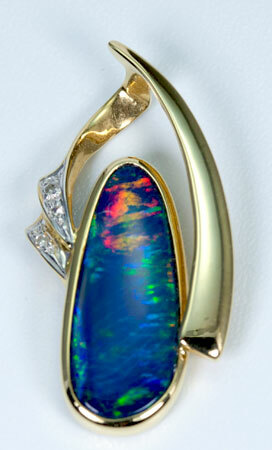 Gold opal pendants in 18k or 14k gold, from Australia. 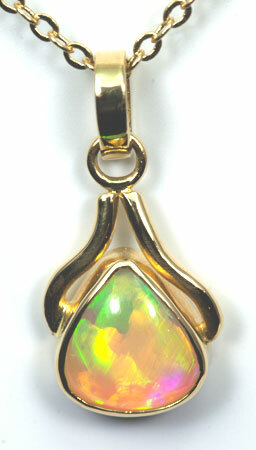 The opals set in those pendants are Solid opals, solid opal inlays or opal doublets from Australia. 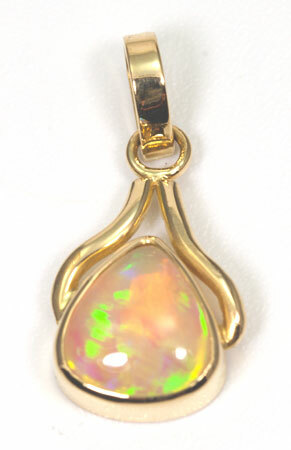 These opal pendants are unique and look better in real life. 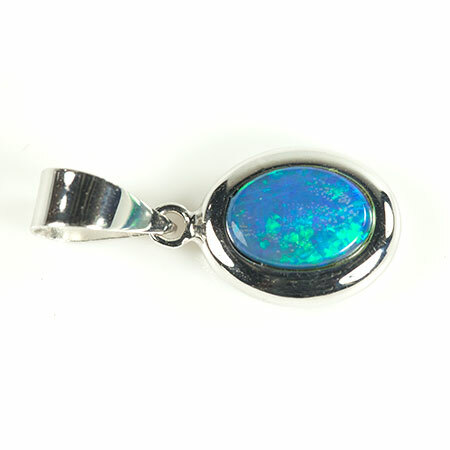 Supplied with a silver plated chain, in a gift box. 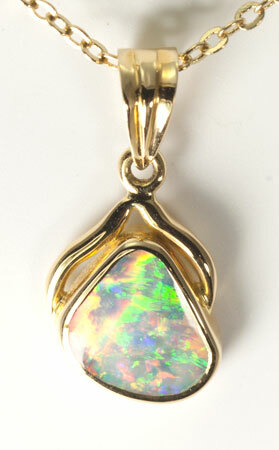 Supplied with a gold plated chain, in a gift box. 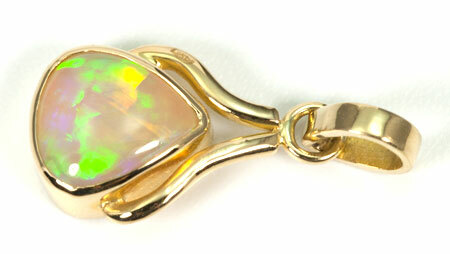 Opal with nice blue, green and gold iridescent colours. 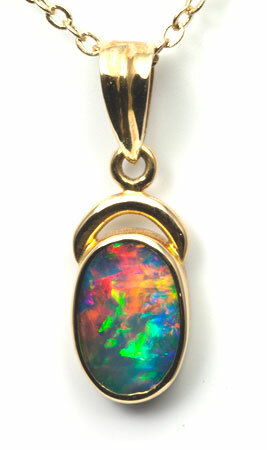 Boulder opal with various colours and a lot of bright red. 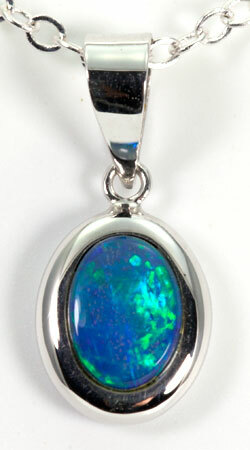 Brilliant boulder opal with broad pattern rolling colours with red. 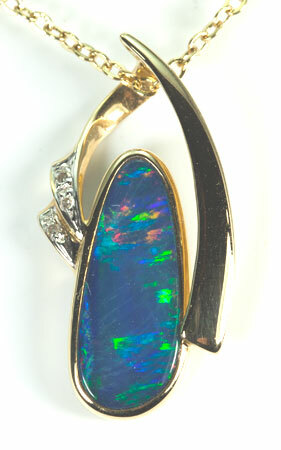 33 mm x 9 mm at its widest. 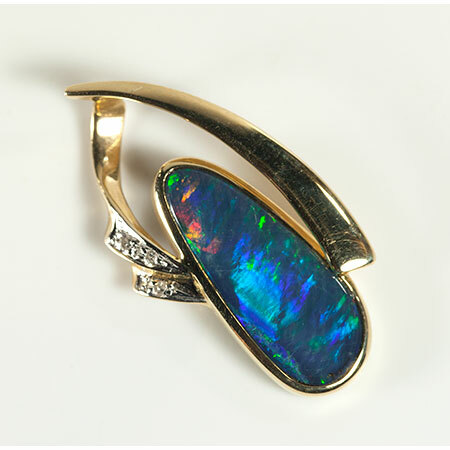 Brilliant black opal with mostly electric golden green colour.